When social media burst onto the scene many people, perhaps naively, thought it signaled the death of email marketing. However, as popular as social media became - and remains - email is still the preferred way people like to receive marketing offers. Email marketing has managed to remain a key element in marketing strategies for businesses of all sizes, as suggested in a study by the Direct Marketing Association who found "75% and upwards [of people] in different age groups prefer being marketed by email." In 2016, mobile devices have become a key way interact with content and digital marketing, and the way we access emails. In fact, reading email has been the number one activity on smartphones for a long time, and with better technologies and designs continuously being developed marketers are always able to find new innovative ways to push conversions through email marketing. 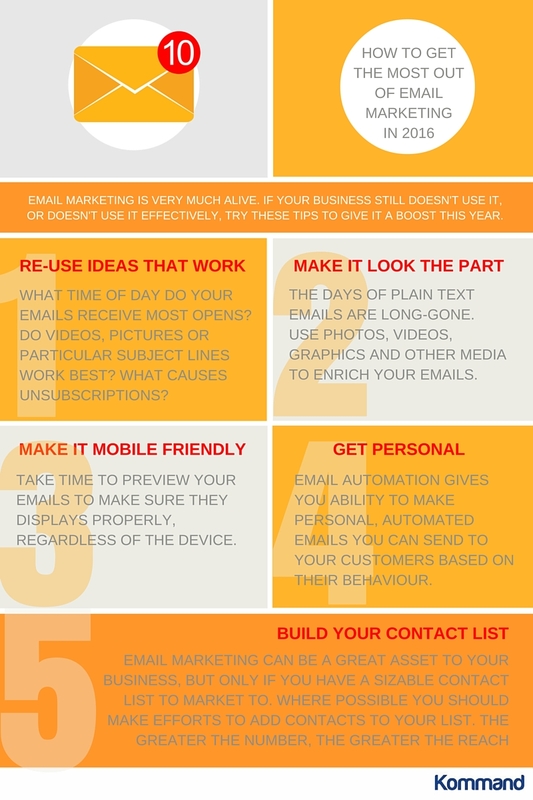 Does Your Business Use Email Marketing? Whether you are just starting your business, or an experienced player in your field, if you don't use email marketing yet, you are seriously missing a trick. Not just from a digital marketing point of view, but from an analytical side too. The data generated from email marketing can provide your business with actionable insights that can help you build a profile of your audience or customers. The days of plain text emails are long-gone. Nowadays there are a number of different templates you can use to build great looking emails. If your business has a colour palette (which it should) then this should be used in your email. By keeping your branding the same across all online and offline channels you will build a stronger brand identity. If possible you should also use photos, videos, graphics and other media to enrich your emails. As we spoke about before, mobile devices have changed the way we access emails. This is an important thing to bear in mind when designing emails. Whilst you are most likely going to design on a desktop people will be opening on tablets and smartphones. Take time to preview your emails to make sure they displays properly, regardless of the device. Nowadays, customers expect personal interactions from the brands they engage with. Thankfully, email automation gives you ability to make personal, automated emails you can send to your customers based on their behaviour. Like any form of marketing you will need to monitor the results. If you notice that more emails are opened when you send in the evening, use this to develop your strategy in future. If you notice that videos, pictures or a particular subject line has a positive influence then you should replicate this in future campaigns. Conversely, if you have a particular email that results in a lot of unsubscribers you should attempt to understand why. 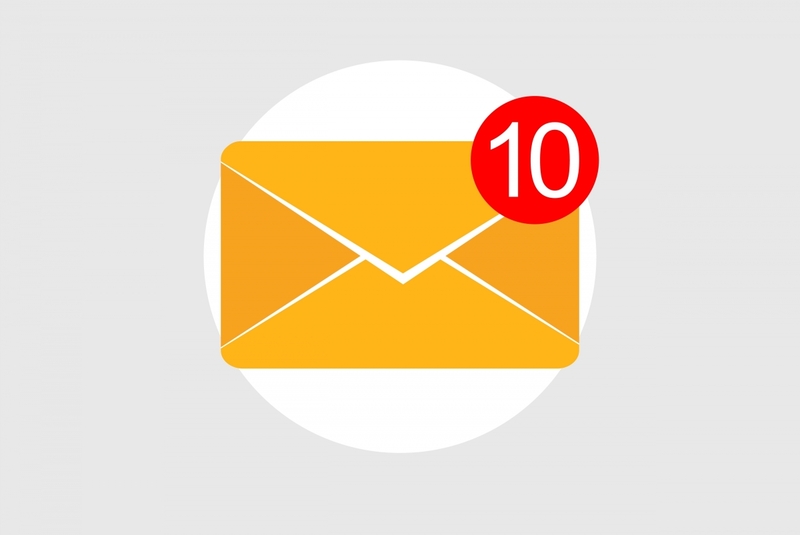 Have you been bombarding your email list? Was your email too specific? Email marketing can be a great asset to your business, but only if you have a sizable contact list to market to. Where possible you should make efforts to add contacts to your list. The greater the number, the greater the reach.